After years and years of budget cuts, the IRS is leaner and meaner. A ProPublica investigation reveals who wins and who loses when a feared but crucial agency is slashed to the bone. Ben Wilkerson, attorney. Mississippi Taxpayer Assistance Project director at North Mississippi Rural Legal Services. ProPublica: "Bill to Limit IRS’ Ability to Offer Free Tax Filing Service Is Getting New Scrutiny" — "There have been a number of developments since we reported Tuesday that Congress was considering barring the Internal Revenue Service from offering a free tax preparation service that would compete with products such as TurboTax. "After our story, several freshmen Democratic members of the House said they had not previously understood that the wide-ranging bill, called the Taxpayer First Act, contained such a provision. "Reps. Katie Hill and Katie Porter, Democrats of California, and Alexandria Ocasio-Cortez, Democrat of New York, opposed the provision, but the bill ultimately passed the House on a voice vote Tuesday." Center For Public Integrity: "You Paid Taxes. These Corporations Didn't." — "Taxpayers are scrambling to make last-minute payments due to the Internal Revenue Service in just four days, but many of the country’s largest publicly-held corporations are doing better: They’ve reported they owe absolutely nothing on the billions of dollars in profits they earned last year. "Among them are household names like technology giant Amazon.com Inc. and entertainment streaming service Netflix Inc., in addition to global oil giant Chevron Corp., pharmaceutical manufacturer Eli Lilly & Co., and farming and commercial equipment manufacturer Deere & Co.
"The identified companies were 'able to zero out their federal income taxes on $79 billion in U.S. pretax income,' according to the ITEP report, which was released today. 'Instead of paying $16.4 billion in taxes, as the new 21 percent corporate tax rate requires, these companies enjoyed a net corporate tax rebate of $4.3 billion, blowing a $20.7 billion hole in the federal budget last year.' To compile the list, ITEP analyzed the 2018 financial filings of the country’s largest 560 publicly-held companies." CBS News: "Average tax refund is little changed at $2,833, IRS chief says" — "The IRS commissioner, who is overseeing the most sweeping overhaul of the U.S. tax code in a generation, says the $2,833 average refund in this year's tax-filing season is working out to be close to last year's. "Taxes and returns for 2018 are due on Monday. 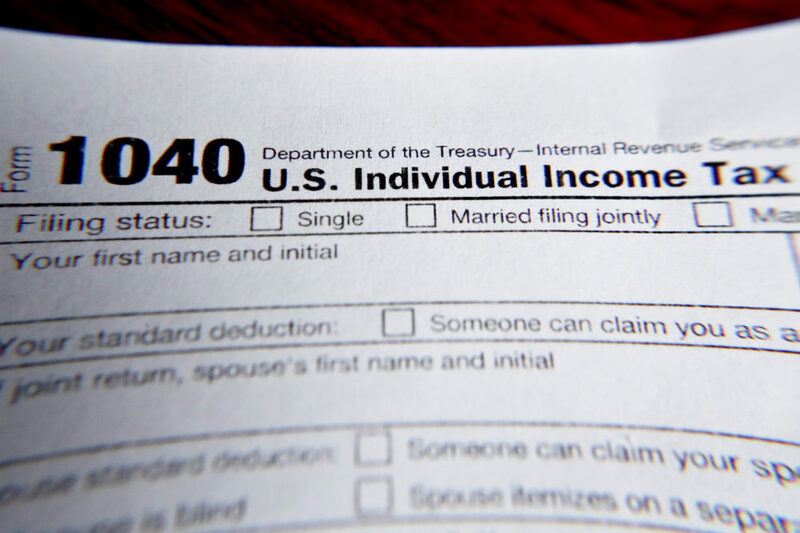 "Internal Revenue Service Commissioner Charles Rettig, who testified before Congress Wednesday, said some 65 million refunds totaling about $191 billion have been issued as of March 22. The average amount of $2,833 is close to last year's $2,864. His comments come at a time when many taxpayers are skeptical about the tax overhaul signed into law at the end of 2017, with a CBS News poll finding a majority believe the changes benefited the wealthy and large corporations while their own taxes did not go down."